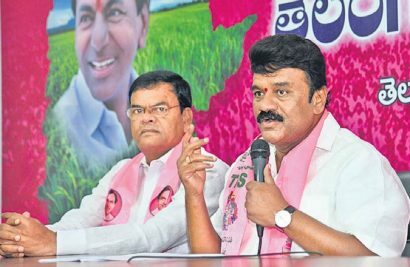 Hyderabad: Former Agriculture Minister and Banswada MLA Pocharam Srinivas Reddy is all set to assume the office of the Speaker of Telangana State Legislative Assembly. Srinivas Reddy, the second Speaker of the State Assembly, was the only candidate to file nomination for the position. The deadline for nominations ended at 5 p.m. on Thursday. All the parties extended support to Srinivas Reddy for the position ensuring his unanimous election to the post. 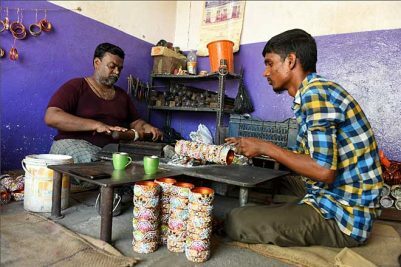 His name was proposed by Chief Minister K Chandrashekhar Rao and senior Congress party leader and Madhira MLA Mallu Bhatti Vikramarka. The others who proposed his name were Ahmed bin Abulla Balala of AIMIM, TRS members Rekha Naik, VM Abraham, and Talasani Srinivas Yadav. In all, six sets of nomination papers were filed proposing Srinivas Reddy’s name for the Speaker’s post. Before filing nomination with the Assembly Secretary Dr V Narasimha Charyulu, Srinivas Reddy and Chandrashekhar Rao offered prayers at the Bangaru Maisamma temple in the Assembly complex. It may be recalled that the Chief Minister had on Wednesday urged all parties to ensure unanimous election of the Speaker. Following this, the AIMIM, BJP and Congress agreed to the Chief Minister’s proposal. The six-time MLA’s election to the Speaker’s position is now only a formality and he will take charge on Friday after a formal announcement in the Assembly.